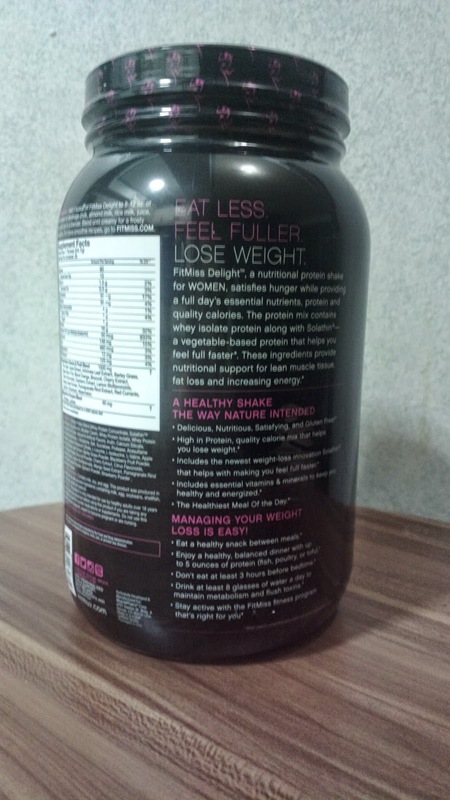 Here's a high protein and low calorie shake drink that's made specifically for women - FitMiss Delight Women's Complete Protein Shake. Each glass works as a full meal replacement or a snack drink that's guaranteed to make you feel full, energized, and curbs your hunger for hours. This makes it ideal as a weight loss regimen because you won't feel hungry often. As per instructions, you can make an 8 oz protein shake by mixing one scoop (included in the package) of FitMiss with 8 oz of water. You may also use fresh milk with a spoonful of sugar as an alternative. The water plus FitMiss mix isn't as appetizing as the milk version but it is tolerable enough due to the banana cream flavor. I haven't seen any other flavor from GNC where I got this pack from. There's no after taste by the way. For more weight loss products reviewed and weight loss tips, see BlogPhNet Weight Loss section.